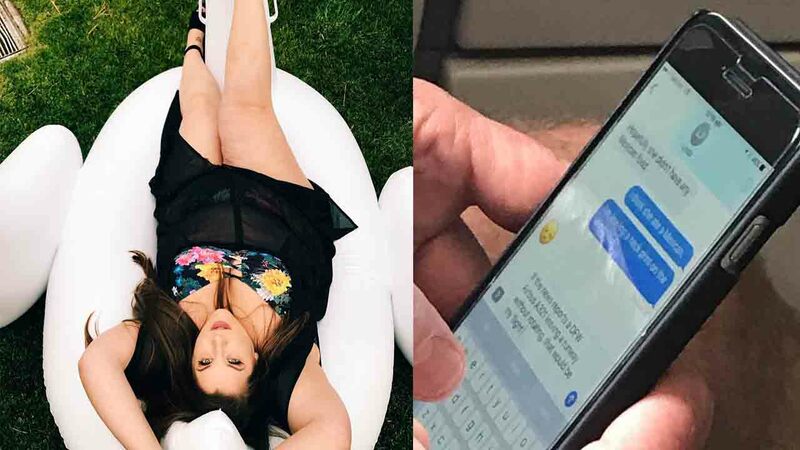 LOS ANGELES, California (WPVI) -- A plus-size model is speaking out after she was mocked for her weight by a fellow passenger on a flight. Natalie Hage was on an American Airlines flight headed to Los Angles when she quickly became involved in an altercation with the man sitting next to her. Hage said she paid almost $70 extra for a seat with extra leg room. However, the seat made the model anxious because it was a middle seat and she didn't want to become the talk of the flight, but once she boarded the plane, all of her fears came true. So, when he turned his phone towards her again, Hage took a quick peak and was hurt by what she saw. As Hage snapped a photo, the man was typing, "If the news reports a DWF airbus A321 leaving a runway without rotating that would be my flight." In the video shared on her Facebook page, Hage confroted the man, saying she knew he had been talking about her.